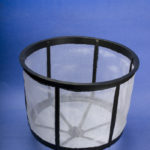 ground tank, 20” dia. X 6” high PolyLok riser with lid and 4” inlet spigot from downspouts. 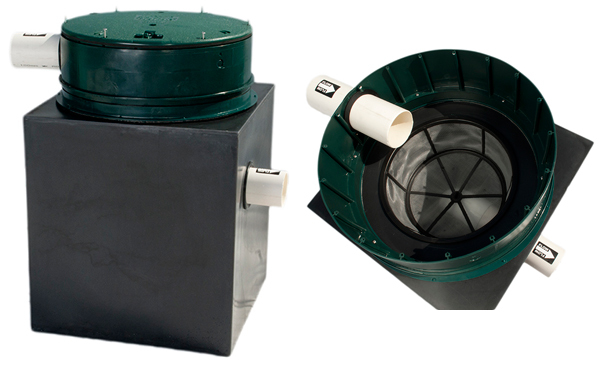 The unit is typically installed at ground level or sunk in the ground for ease of access and maintenance. 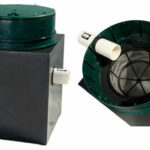 950 micron Leaf Filter Baskets fit inside the access opening on above ground water tanks. 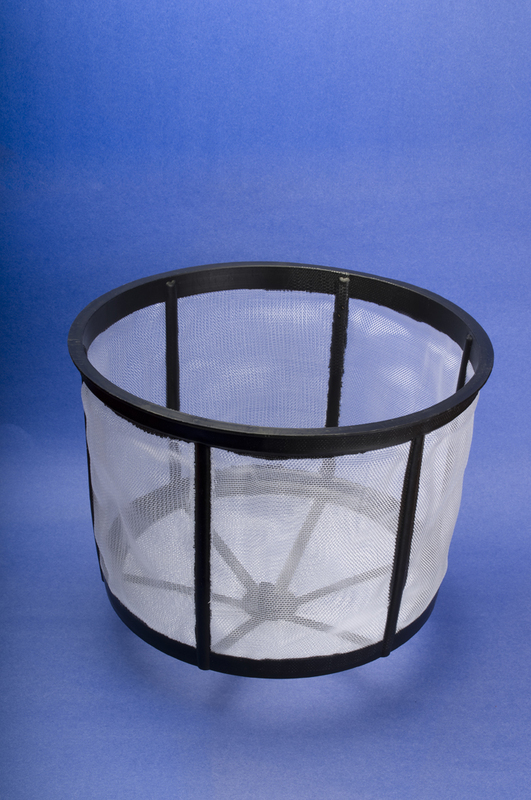 Baskets have a high carrying capacity that resists frequent clogging. 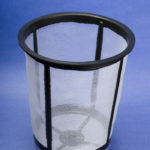 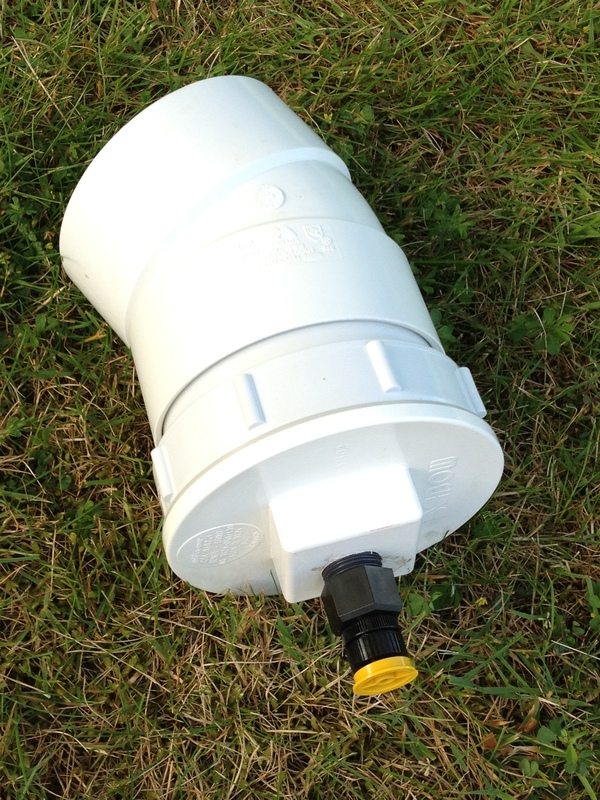 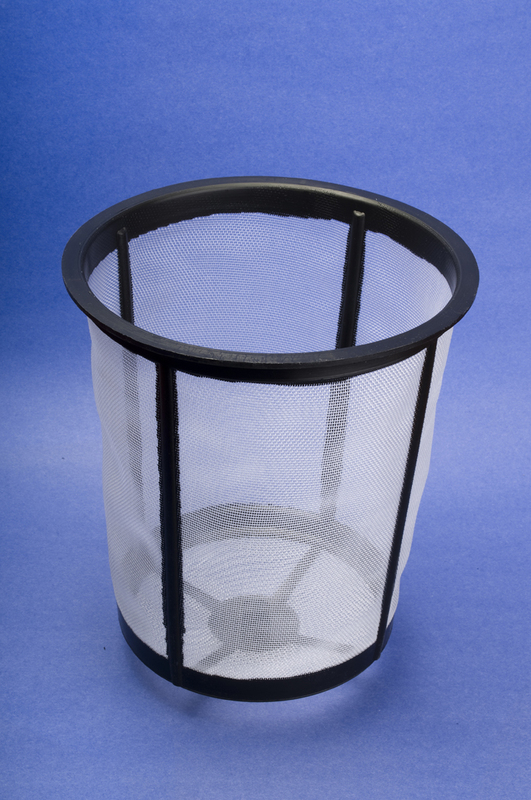 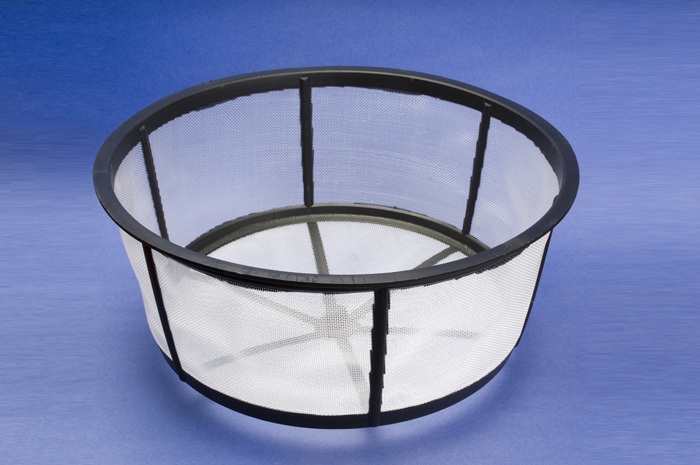 Where finer filtration is required, a 40 micron (TUFFY) cloth filter can be installed inside the basket. 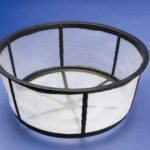 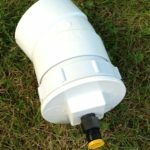 Contact Premier Plastics Inc. for other styles of rain water filters and screens.